Often, we hear the phrase “It’s all about the people!” when it comes to describing what makes a company great, how vibrant a city or community is, how good the services of an airline are or how successful a project is. It’s no different when it comes to building business continuity capability or working towards a broader goal of organisational resilience. You can have the best plans and most sophisticated technology and tools for recovery but if the people who need to make things happen are not engaged, not competent, not supportive or simply do not buy into what you’re trying to achieve, you’ll fail. 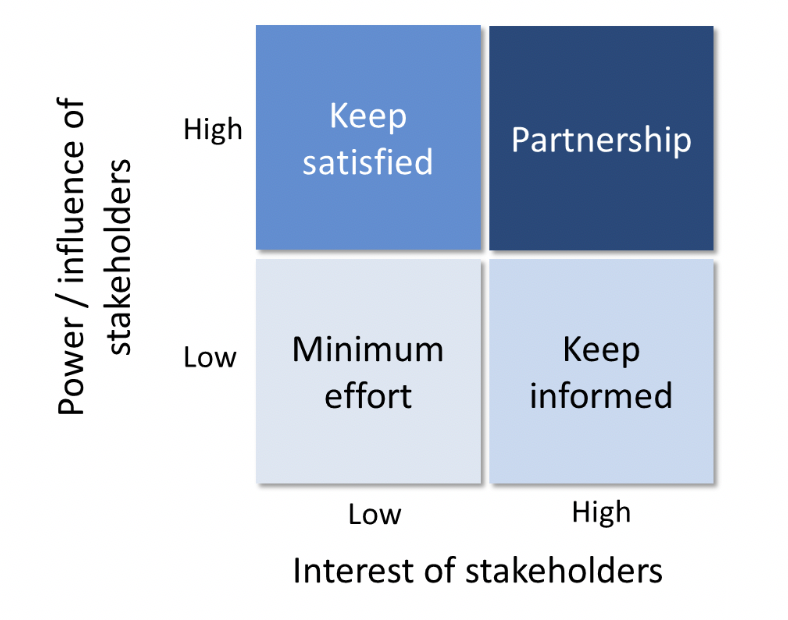 The discipline of stakeholder engagement is not new. It is used extensively in large infrastructure development projects, public relations, ICT project management and so on. AS ISO 22301:2017, the international standard for Business Continuity Management (BCM), highlights the necessity to consider the needs and requirements of ‘interested parties’ throughout the BCM life-cycle. Using the matrix to inform the best ways to engage with the stakeholder before, during and after a disruptive event. To supplement the power/interest analysis above, it can be useful to conduct a stakeholder analysis using the acronym ‘RASCI’. This acronym identifies individuals or groups of stakeholders and their roles and responsibilities in the context of a specific task, process or project. R– Responsible: Who is responsible for carrying out the task, process or project? A– Accountable (also can be the Approver): Who is responsible for the whole task, process or project? S– Supportive: Who provides help during implementation of the task, process or project? C– Consultative: Who can provide valuable advice or needs to be consulted during the task, process or project? I– Informative: Who should be informed about the progress and decisions about the task, process or project? Enable better planned and informed policies, programs and services, and implementation of recovery solutions and response plans.